The Susquehanna River Watch has been involved in a project since 1982 to create a Greenway with Trail from Duryea to Wilkes-Barre to be used for public opportunities for walking, biking, cross country skiing, horseback riding, environmental education and nature study tours. There will be areas for senior citizens and the physically challenged, as well as river access for fishing and boating. For those interested in cultural heritage, the trail will preserve natural or landscape settings surrounding important community landmarks. 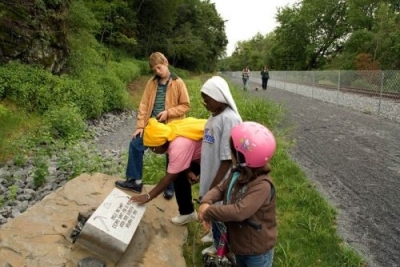 The rail line presently owned by the Luzerne County Rail Corporation follows closely 8 ? miles of the banks of the Susquehanna River, with more than 60% of the trail length immediately adjacent to the river, treading through an area of rich ecological diversity and cultural heritage. The trail will provide an opportunity for the region's communities to develop a project that builds on the existing assets of the river. 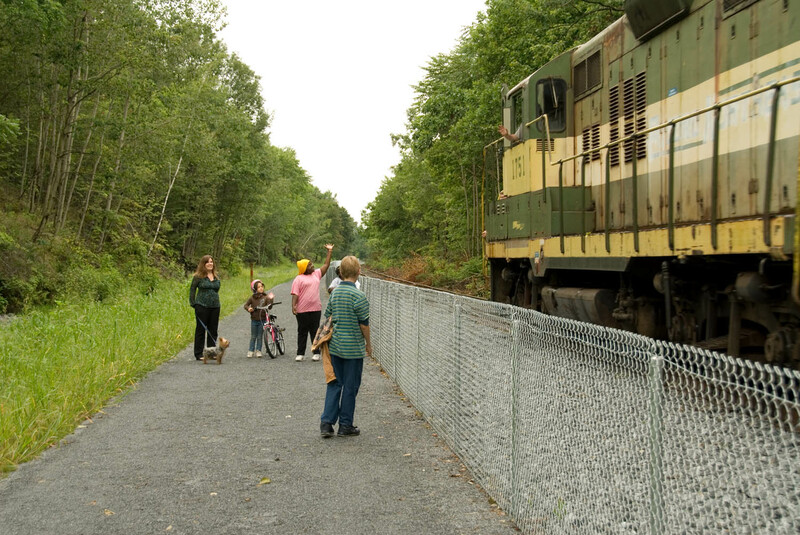 Passing through the jurisdictions of Duryea, Pittston, Jenkins Township, Plains, and Wilkes-Barre City, the Luzerne County Rail Trail will be completed and an extension of other regional recreation systems. The engineering for the Luzerne County Rail Trail project is being performed by The Cultural, Environmental and Engineering Group, Inc., located at 2 North Main Street, Pittston. The Luzerne County NRT is an active freight rail line. Photo by Mark James.